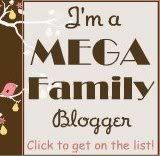 Mama of 10 : Christmas.....The Most Wonderful/Busiet Time of the Year! Christmas.....The Most Wonderful/Busiet Time of the Year! It's great for a family with young children. 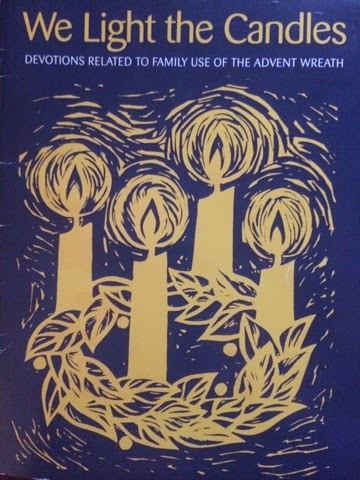 The devotionals are just long enough and we all really like that they include a Christmas hymn/carol to sing together around the table every night. I purchased this one for myself to use during my devotional time and it has been great. It's by John Piper. I feel like I am learning so much about what Christ's coming really was all about. I do love Christmas and look forward to this time all year long. Here are some Christmas time pictures that we've recently taken for you to get a glimpse into our "crazy" but fun Christmas season here with a family of 12. 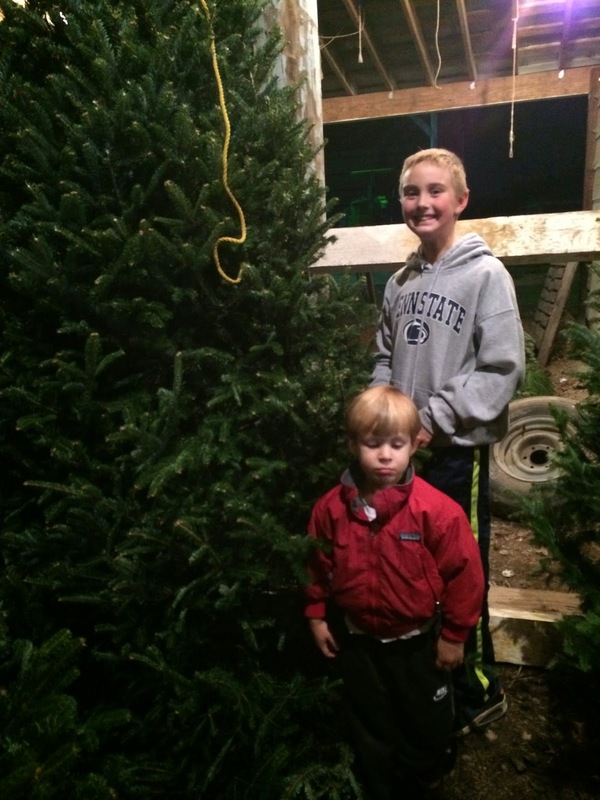 We get our live North Carolina tree at the same friend's farm each year on the weekend after Thanksgiving. We have to go at night so the kids can play tag in the trees. This year we had some cousins with us too. My darling Caroline has a December birthday and this year for her 12th bday we had an artist friend come and do an art party. It was wonderful and they all did so well! 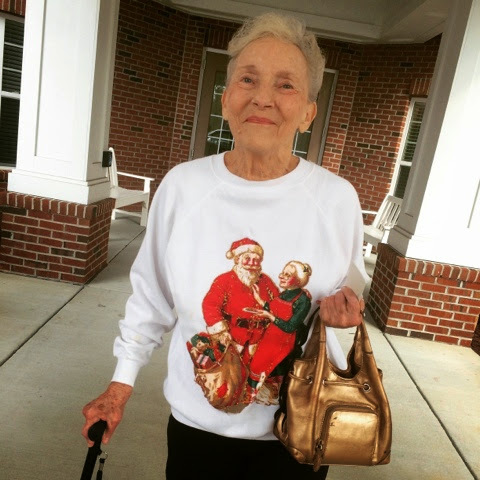 I had to include this picture of my mom in her Christmas sweater from the 80's. She's a treasure to us! 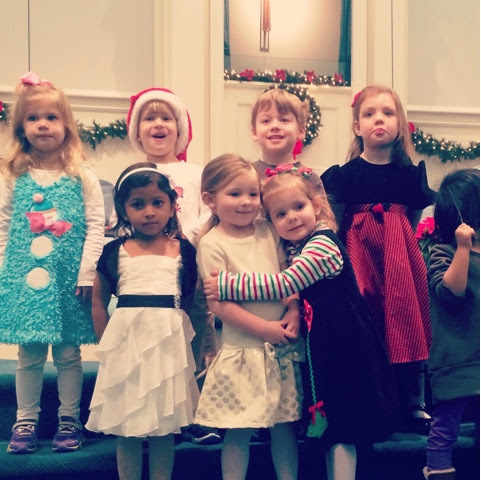 Patrick got to sing on stage for his preschool Christmas production. He was so cute......tears in my eyes and he's definitely not one of my shy children. 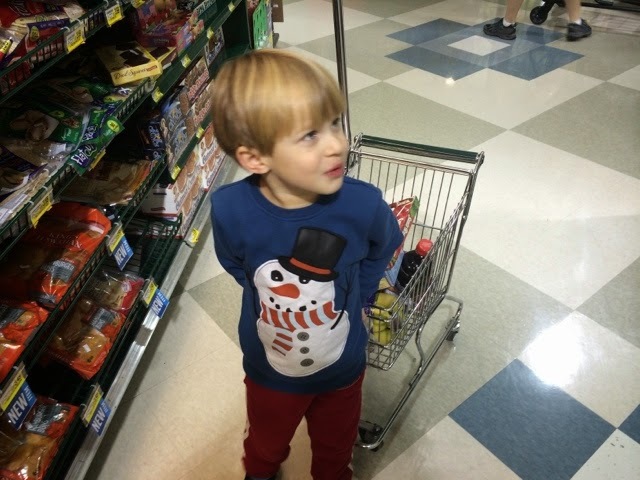 My little guy loves to help me shop but talks me into buying way too much junk! 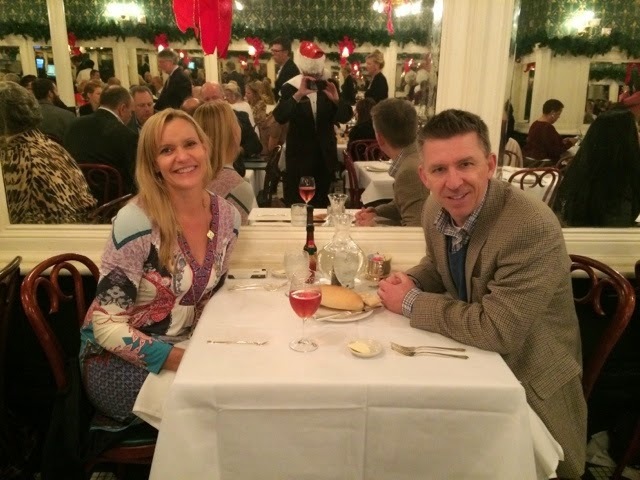 My husband had a conference in New Orleans so I was able to go meet him there and see my sister as well. There is nothing like New Orleans at Christmas time. It is beautiful and the food is as wonderful as I remember as a child. 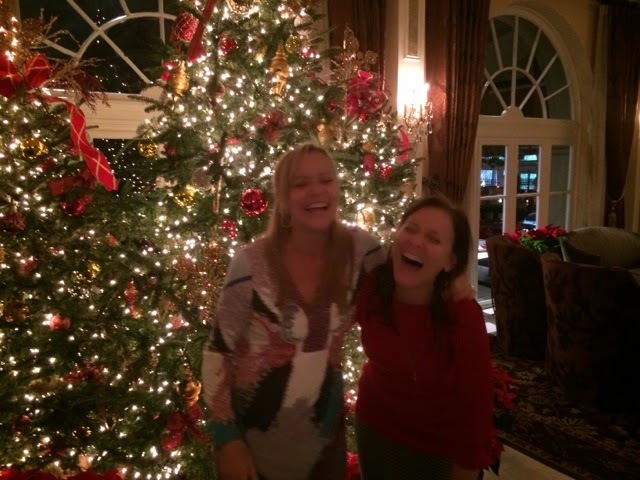 There is also nothing like laughing with your sister and spending some time away with your husband. 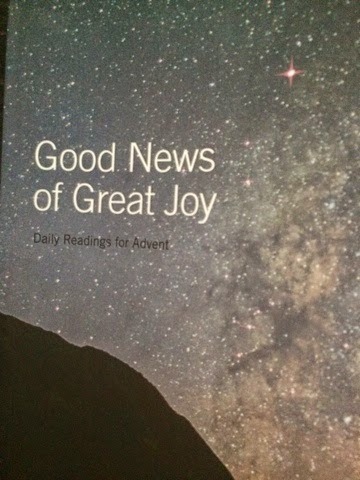 I am doing the same advent study by John Piper. I've been enjoying reading it early in the darkness of the morning next to the Christmas tree. Merry Christmas to you and your beautiful family! Awesome! Glad you are keeping a healthy perspective! I went to NOLA this year and loved it!!! Beautiful family. I just discovered your site this morning! I am new to Trim Healthy Mama and was reading your food list to begin the program...I didn't expect to find all this! If you do have time, I left a question in the comment section on that post regarding whey. Thank you!